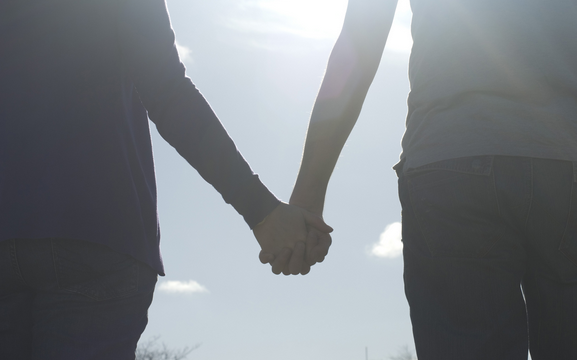 Happy couples aren’t perfect, and they certainly aren’t always happy. There’s no scientific method to achieve happiness in a relationship—no formula to follow, and definitely no love potion to take. But there are habits that can help a couple be happy despite the ups and downs they go through together. You don’t have to be joined on the hips all day, everyday, to prove that you love each other. You both need to do your own thing. While it’s necessary to grow inward together, there’s also a necessity to grow outward individually. There’s a fear that you’ll grow apart once you branch out into different things, but it’s the changes that you go through separately that will bring spice to the relationship. To be compatible with each other, your interests don’t need to match 100%. However, it’ll be good if you find common interests. Be it liking the same types of movies, listening to the same kinds of music, or reading the same book genre, it’ll do wonders to the dynamics of your relationship. And if you don’t have much in common, it’s important to go exploring and find activities that you’ll both enjoy. Look for activities you both can enjoy. Besides being an addition to your chest of knowledge and hobbies, it’s a great way to improve communication with your partner. It’s not necessary that your partner knows where you are 24/7 and it’s not practical to inform them what you’re doing every minute of everyday. But still, it’ll be nice for you to tell them if you’re going out with friends or if you have a sudden business trip. This way, you can reduce their cause for worry when they suddenly can’t reach you. With many means of communication available to us today, it’s almost impossible not to make a simple call or to send a simple text message to inform your partner about the big events of your day. Couples share secrets, happiness and burdens with each other, but it doesn’t mean they have to share everything. There are things that you, as a person, would love to keep to yourself. There are things you aren’t comfortable sharing with anyone else, even to your partner, and that’s perfectly okay. Happy couples respect each other’s private thoughts and emotions. When you want to know something from your partner, it’s alright to ask and wait patiently till they tell you the answer at their own time, when they’re ready. Happy couples laugh a lot, mostly because they enjoy each other’s company. You need to find someone who can make you laugh and appreciate your sense of humor at the same time. No matter how bad your day gets, when you have someone who knows exactly what to say to chase away the dark clouds, everything suddenly turns out all right. A couple who knows how to tease each other and know when not take each other too seriously can find the funniest thing even in the dreariest situations. Though it’s important to know when to be serious, it’s just as necessary to know when it’s time to crack that inside joke. Happy couples aren’t always happy, but they find ways to go back to their happy place. To be happy in a relationship, there’s no format to follow. There’s no guidebook that every couple must try to abide. But happiness doesn’t have to be elusive, and it doesn’t have to be more complicated than rocket science or genetic engineering. It’s about trying to figure out what will make your partner happy, and at the same time, considering your happiness in the process. Jane Galvez is a writer and co-founder of Manillenials.com. She’s a digital marketing specialist who enjoys reading YA contemporary novels and watching bad television on her free time. She blogs at Oh My Janey, where she posts about books, travels and life in between.